Why are paranoia and pessimism so prominent amongst Manchester City and Liverpool fans? Manchester United’s two decades of Premier League dominance was hard to bear for their rivals and made even more so by the arrogance of their fans. There was an inherent entitlement that was prevalent in everything they said and did. They even had a song boasting that they could do what they liked simply for being who they were. There is very little virtue to be found in such hubris but perhaps in hindsight it can be viewed with some degree of understanding. After all, strip away the imperiousness and what you’re left with is a bedrock of self-belief and frankly when your team contains Cantona, Keane, Giggs and Beckham, and your manager is Sir Alex Ferguson, and your club is winning titles like nobody’s business, you have every right to feel assured. A certain swagger is justified. Jump-cut to the present and their throne has been reupholstered in sky blue. Manchester City have won three titles in seven years and last season they smashed all manner of long-standing records and eventually accumulated one hundred points. They have Pep Guardiola – unquestionably the most coveted coach in world football – moving his players around like chess pieces from the technical area. Their squad contains David Silva, De Bruyne, Sterling and Aguero. Are City fans happy with this monumental usurping? Of course they are. They’re ecstatic. Are they assured though? Not even slightly. Scroll down the Twitter timeline of a City supporter, or hear them out in the pub and what you will encounter is paranoia and pessimism and I should know because I’m a City supporter myself and I can vent to an Olympic standard. UEFA are out to screw us. The media similarly have an agenda and they delight in undermining our achievements by taking snide pot-shots at every opportunity. Should the back pages of newspapers be taken at face value you would be under the impression that the media darlings Liverpool are fighting a valiant cause this season while City are the bad guys. 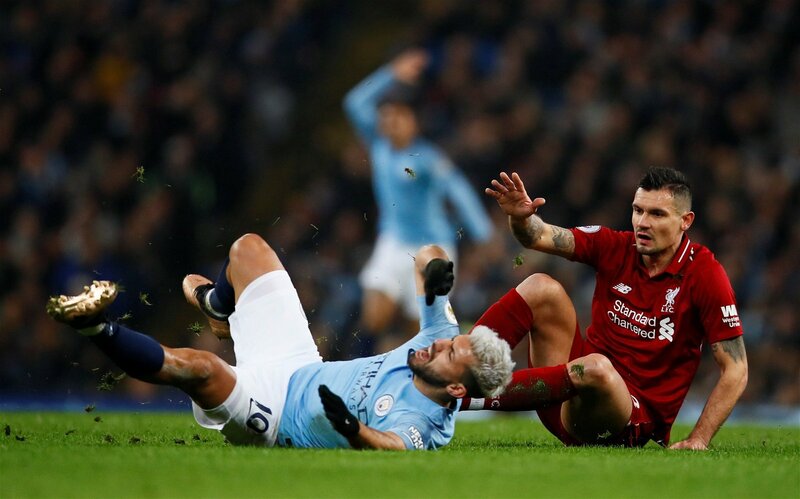 Last year Premier League Chief Executive Richard Scudamore said: “I’d like someone to get a little bit closer to Manchester City” and it doesn’t require a tinfoil hat to suggest that when that’s the desire of the authorities it might explain why Sergio Aguero needs to be chain-sawed at the knees to win a penalty. As for pessimism we only need look back to City’s defeat at Newcastle at the end of January that saw half of the club’s fan-base forcefully cede that any realistic hope for a consecutive Premier League crown was over. This despite the fact that similar points deficits had been successfully clawed back in two of their previous title-winning campaigns. Such negativity however is not the sole preserve of Blues. 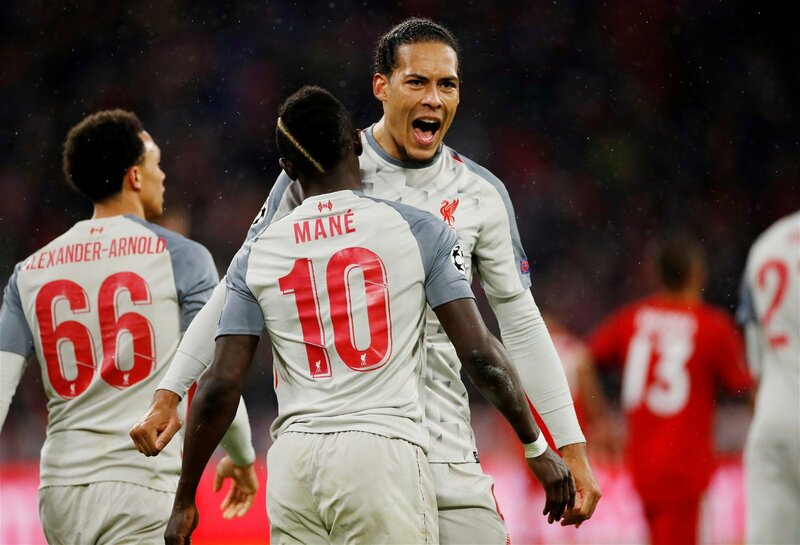 Presently Liverpool are in strong contention for their first league title since 1990 with a formidable and ferociously brilliant side who have lost precisely once all season. At the helm is Jurgen Klopp – unquestionably the best coach at Anfield since their halcyon days – and it is perfectly conceivable that he might lead his troops to an incredible double this May. Their squad is elevated by last season’s Player of the Year Mo Salah and bolstered by this season’s Player of the Year-in-waiting Virgil Van Dyke. Are Reds excited by all of this? Of course they are. They’re buzzing. Are they assured though? Absolutely not. Scroll down the Twitter timeline of a Liverpool supporter, or hear them out in the pub and what you will encounter is paranoia and pessimism. Player X is underperforming and what the hell is Klopp playing at sticking by him? The media are the enemy and as for the authorities a conspiracy is clearly afoot because the last penalty given for the home side at Anfield coincided with the release of Sgt Pepper. Ahead of this week’s Champions League draw Liverpool fans became convinced that City would be drawn with Porto, the weakest-on-paper team left in the tournament. They became convinced that UEFA – an organisation currently investigating Manchester City on FFP charges – would facilitate an easier passage for the Blues while ensuring somehow that Liverpool got Barcelona and Juventus combined. When it comes to pessimism Reds are drawn towards it almost as an act of self-preservation. So brittle are they from past near-misses that despite being only a single point behind City with eight to play the prevailing talk is akin to a contestant on a game show who is willing to eschew the big gamble and is instead happy to take home what they’ve won so far. These are clubs – and by extension fan-bases – who are experiencing their greatest of days; three-quarters in to amazing and exhilarating adventures. Yet their psyches could not contrast any greater with the indomitable bombast of United – and Arsenal too – in their pomp. The reasons for this are multifarious but all have their roots in not only social media and the internet at large but also in the incalculable influence that social media and the internet at large has had on life beyond our computer screens. Everything is so relentless now. The chatter and accusations. The hot takes and the angles. The anticipation and the post-mortems and the hype and the ever-changing news. It is all-encompassing and unavoidable and when you’re the one on top of the pile you’re the one with a great big target on your back. Is it any wonder then that City and Liverpool supporters have become defensive by default? And does that offer up the rather depressing notion that fans of teams in the ascendancy moving forward will always be deprived of the luxury to luxuriate in their success? Certainly both sets of fans are not able to cockily gloat Monday to Friday like United and Arsenal could. Not when Bob in accounts thinks City are cheats. And Dave in the warehouse insists that Liverpool are bottlers. This ultimately is a great shame. Because right now – for both Manchester City and Liverpool supporters – a certain swagger would be more than justified.